The slime is posing a nuisance to both locals and visitors. File photo. Partit Demokratiku has complained to the chairperson and the members of the Petitions Committee in parliament about delays in the consideration of a petition against the proposed doubling in the number of tuna pens in the north. The petition had been signed 1,865 citizens in May 2018. “The right to freedom of opinion, expression and association are fundamental human rights. Petitions are such a right, and their timely execution defends such rights,” stated MEP candidate Martin Cauchi Inglott. The petition objects to the doubling of pens, from 12 to 24, of a tuna farm operation off the Northeast coast of Malta. 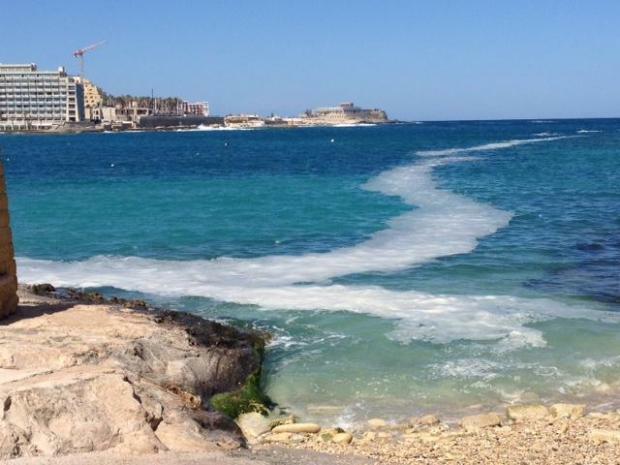 "Its operations have already shown that it has been of detriment to residents and swimmers and is causing damage to the marine environment through oil slicks, fish residue and waste products from the tuna confined to these pens,” added party leader Godfrey Farrugia. PD is favour of a strategy that sustains aquaculture and but wants to "bring the authorities to their senses so as to protect public interests". MEP candidate Camilla Appelgren stressed that the Environment and Resources Authority had already testified that the slime coming out of the fish farms was an imminent danger to the environment.